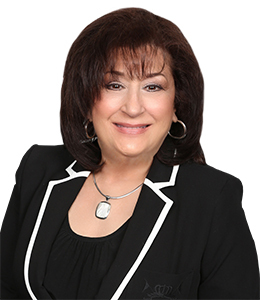 With over 34 years of being a Real Estate Professional in Bergen, Passaic, Morris and Sussex counties, I have shown dedication, integrity and perseverance. Specializing in Listing and Marketing Homes, as well as, providing Superior Service to Buyers, from finding their perfect home right up to the closing. My past history proves my success. I was consistently #1 listing agent, year after year, at Coldwell Banker, as well as, being awarded the Prestigious Circle of Excellence Award -Silver Level, ranking me among the top 5% of Realtors Nationwide. Continuing my Real Estate Career with Re/Max for the past 16 Years, I always elevated to new heights and levels and I have been in the top 3% Realtors Nationwide. I work hard to remain on the cutting edge and in touch with my clients. I look forward to continuing my success with Realty Executives, which offers me the cutting edge of technology, to give you, my clients, Superior Service.
. 24/7 Full time workaholic …who loves Real Estate!
. Available anytime—I love helping people! .I strongly value my reputation and adhere to the NAR’s strict Code of Ethics!